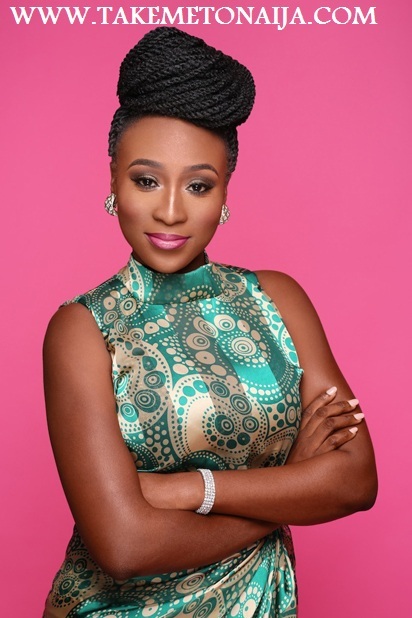 Aramide is popular Nigerian Afro-Soul songstress who came into limelight in year 2015 with the release of her debut single under her new label BaseLine records. She has since been keeping up with more singles and collabos. Aramide Sarumoh was born in Lagos Nigeria. Her early childhood was spent in the famous city of Jos where her skills in singing and song writing were nurtured. She is a graduate of Political science from the University of Jos. Aramide grew up in a music orientated family where her love for music began. Her love for song writing became evident from a very young age where she began writing in High school. A very versatile musician who’s influences come from a varied blend of soul and jazz and artists. In 2008, she was a part of a show called ‘Divas Unplugged’ which included the leading female artistes in the music industry and her participation was hard to ignore. Aramide’s music journey officially started in 2006, when she contested on ‘Star Quest’ one of Nigeria’s most prestigious and competitive music talent hunt shows. Her band did very well in the competition as they were judged the 3rd Runners Up. In 2008, she was a part of a show called ‘Divas Unplugged’ in the famous city of Jos in Nigeria; the show had all the leading female artistes in the Nigerian music industry and her participation in this show was very challenging and rewarding, and her performance and involvement was very inspirational. On September 9, 2014 she got signed to Baseline Music after Trybe Records Exit. On February 4, 2015 Aramide released her first single under Baseline Music, “Iwo Nikan”, which ended up not just being a single but a breakthrough for her and the label Baseline Music. She won Best Vocal Performance for the same song Iwo Nikan at The Headies Award 2015. Her music is influenced by Erykah Badu, Miriam Makeba, Sade, and Angélique Kidjo. Aramide uses a fusion of African beats, sound and language and Soul/Jazz music to depict her sound. She performs in Yoruba and English and is known for her style, which she calls Afro-Soul. Her single I Don’t Care was spotted on number 1 spot on MTN Yhello Top 10 Nigeria Chart, number 4 on Alternative Music Naija Chart on Top Radio 90.9 FM and number 3 on Alternative Nigeria Chart on Radio Continental 102.3FM. Also Love Me picked on number 1 spot on Alternative Nigerian Chart on The Beat 99.9 FM and on number 3 spot on Playdata Chart. She has worked with A-list artistes like M.I, Jesse Jagz and producers like Ekelly, Manus and Gospel. For Aramide, music is not only a full time job, it’s her life. She lives for music and is always looking for ways to share this passion with people; this is very evident in her songs, which are very soulful and introspective. Her latest single ‘Love Me’ ft Adekunle Gold has topped various charts for 6 weeks and currently receiving massive airplay on radio stations within and outside Nigeria. This is in addition to her award winning single, ‘Iwo Nikan’ which talks about unconditional love, ‘I Don’t Care’ an up-tempo rendition which tells off the haters of her relationship, ‘Feeling This Feeling’ that talks about Love and Friendship, and ‘Its Over’, a more sober Afro Soul ballad..
Having featured on songs with other Nigerian artists which include Good Man by eLDee, an offshoot from a campaign “Violence against women”, Aramide has worked and shared the stage with the likes of Banky W, Sound Sultan, Tiwa, Dr Sid, MI, eLDee, Jesse Jagz, Waje, Sarz, Yemi Alade and many more. Speaking on love and how she met her husband, she said it was a feeling she couldn’t explain. On the reason she fell in love with and married him she cites his passion for her music as a key factor. Also, she said his supportive and encouraging nature made all the difference. “He always tells me that I can do it and that he believes in my talent. He also criticises my music and performances with love. For me, that was the major attraction. There are some other qualities that I cannot say on print because they are too personal,” she said. Reacting to the slow tempo of her songs in an age where mainstream music is more about fast-paced songs and club sounds she said she believes in sticking to what she knows. “I feel it pays me more to stick to what I know. It is not as if I do not like trying new things out but I believe that in sticking to what you know, you can always try new things out. I have always been a soul singer from the outset and I feel I can do a fast song in that same genre. I don’t need to branch out into something I am not comfortable with or something that does not best describe my personality and my music,” she said.